Brand Factory clocked in Rs 1,045 crores worth of sales in FY17, accounting for 27 per cent of the total revenues earned by Future Lifestyle Fashions Retail. But what about the future? Even as offline and online retailers rethink the discount and sales route for growth, Kishore Biyani’s Brand Factory is staying the course. The fashion discount retail brand, positioned as a stopover for consumers before they graduate to more expensive labels and styles, says that it will continue doing more of the same as it enters its tenth year. Surprising move that, given that the marketplace for discount chains is rapidly emptying out. E-commerce majors are cutting back on deals due to regulatory issues and pressure from investors and offline discount stores are either reinventing or scaling back operations. 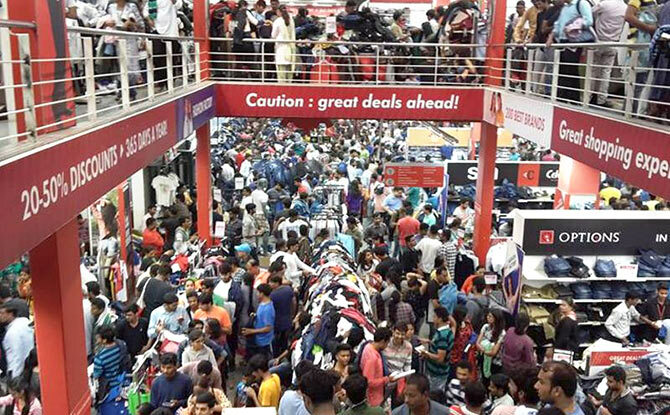 Arvind Group’s Megamart has been converted into a value retail brand and another discount retailer, The Loot, has considerably downsized operations due to its financial issues. General market behaviour has not dented Future Group founder-CEO Kishore Biyani’s enthusiasm with the model. “We have got the model right and people have accepted it. India is a young country and we can grow much faster,” he says. The chain has begun experimenting with different formats. “Since we want to expand faster, we have to have two to three different formats,” says Suresh Sadhwani, concept head, Brand Factory. Apart from standalone stores, it is looking at setting up inside malls too. This gives the retail brand flexibility and access to multiple locations within the same city. Target customers are those looking for a bargain buy in the branded segment. “Aspirational customers who cannot buy big brands and smart customers who know the value proposition, both come to our stores,” says Sadhwani. He explains that a value brand is one where the price is half that of a big brand in the category, but it is 70 per cent as good as the big brand. Nearly half the products at Brand Factory constitute one-season old merchandise. The rest comes from fresh fashion. Half the stock is from Future Group’s labels and the other half from national and international brands like Levis, Pepe, Jack n Jones, Vero Moda and others. “We get the scale through these two and pass on the margins to customers,” Sadhwani says. The 55-store Brand Factory is part of Future Lifestyle Fashions that also owns Central, All, Planet Sports among other retail brands and contributes the second largest chunk to the division’s revenues. In FY17, Brand Factory clocked in Rs 1,045 crores worth of sales. It accounted for 27 per cent of the total revenues earned by Future Lifestyle Fashions Retail, coming up second to Central that accounted for 59 per cent, according to a presentation the company made to its investors in March this year. 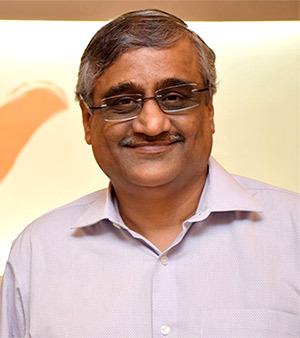 IMAGE: Kishore Biyani, head of Futures Group that owns Brand Factory. Photograph: Kind Courtesy Kishore Biyani/Facebook. Brand Factory plans to double its sales in the current financial year and triple the store count in two years. Sadhwani says that the store brand is has managed to differentiate itself from similar chains in the market because it it is the only multi brand retail chain to offer year-long discounts. But are discount stores relevant when prices have been beaten down by the large number of brands in the market? “Discount chains are relevant for the Indian market, always. 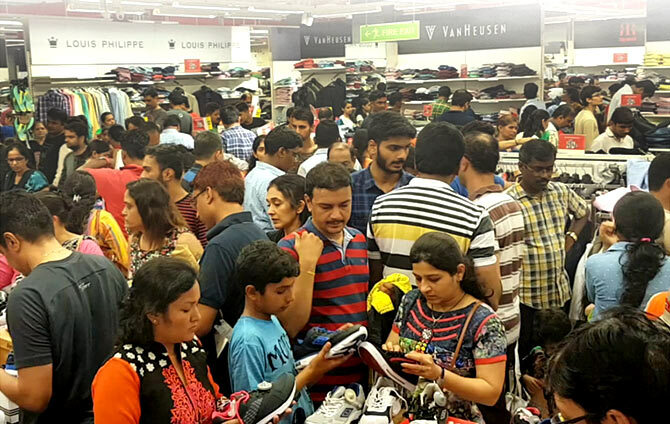 We are a discount seeking society,” says Susil Dungarwal, founder at Beyond Squarefeet Mall Advisory and former CEO of discount chain, Loot. Still, the online marketplaces that thrived on such a model are now turning away from it. Sadhwani says that is because online retailers have high transaction and delivery costs, which makes the business unviable. “We stay away from malls and rents are low. Scale is our main crux,” he says. Its rent to sales ratio is seven per cent. The chain is present in metros and tier-II towns, the ratio between metro and non-metro being 70:30. “The new and upcoming stores are spread between metros and smaller towns and the store will expand its footprint in all the cities it currently is in apart from moving into smaller towns,” Sadhwani adds. The chain is banking heavily on in-store promotions to boost sales. Explaining how effective these are, Sadhwani says that in the last weekend of May, a ‘sports super sale’ sold 50,000 pairs of sports shoes. 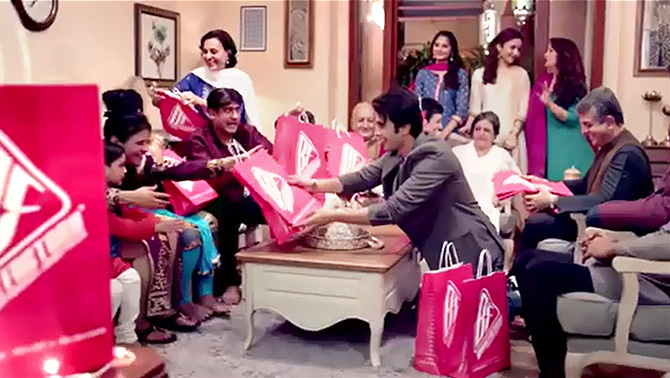 Similarly a flat 50 per cent off promotion in April brought in sales revenue worth about Rs 100 crore, four times normal sales. It does 25-30 promotions in a year, for specific categories and for all merchandise. Given the big emphasis that young customers are placing on their in-store experiences, the store is working on the same. It has instituted a no-questions policy on returns. “Our merchandising and displays also incorporate clarity on the discounts. We are using customer feedback on shopping experience and working on the common complaints. Complaints are addressed within 24 hours by the store manager,” Sadhwani says. Technology has been a big enabler in building a brand that is more malleable to customer tastes. “Some insights have helped us devise new promotional ideas and category introductions. We get feedback on overall shopping experience, product availability, staff, billing experience and shopping ambience that is used to enhance in-store offerings,” Sadhwani says. Tracking customer behaviour is helping Brand Factory stay abreast of the latest trends, but in a market where retail brands are increasingly hemmed in by rising property costs and falling footfalls, will this be enough to stay the distance? Which is the most profitable retail chain in India?